Barbara Hall is the former crossword editor of The Sunday Times and she set the puzzles for that paper for over 35 years. She retired at the end of 2010, at the age of 87, and was succeeded by Peter Biddlecombe. She was born in Derby in 1923 and had her first puzzle published in 1938, when she was fifteen, in what was then the Evening News. She has been a prolific compiler ever since. For fifteen years she lived in Zambia, and compiled puzzles for the African Mail, Central African Examiner, Broken Hill Observer and Gemini Commonwealth News Services. She was awarded the Order of the British Empire, MBE in 2007 for services to the Newspaper Industry. John Halpern compiles three or four puzzles a month for The Guardian (as Paul), two or three for the Financial Times (currently as Mudd, formerly as Bats), one or two for The Independent (as Punk). He sets two cryptic puzzles a month for The Times - and Times Quick Cryptic crosswords as Mara. As Dada, he sets Toughie crosswords in The Daily Telegraph. He also writes a third of the quick crosswords in The Guardian, and the occasional Guardian Genius puzzle (available online). For the Puzzler Media Group, John has edited several crossword magazines, including Q Crossword Selection. Hamilton is the pseudonym of Andrew Bartlett for crosswords - both Cryptic and Polymath - in the Financial Times. The pseudonym comes from his middle name. Hannah is a crossword setter in The Independent whose debut puzzle appeared in January 2016. Derek Harrison runs The Crossword Centre, a site that provides a wealth of information about advanced cryptic crosswords. It includes information on the puzzles and their setters, not just those of today but also past masters such as Afrit, Ximenes and Apex. The site has a popular message board. For Crossword Centre members Derek publishes a monthly prize puzzle. There is also a monthly clue-writing competition judged by the members. Derek edited the recently republished Armchair Crosswords, by Afrit. This collection of 40 puzzles, first published in 1949, is considered a classic in the crossword world. Guy Haslam, then editor of The Puzzler magazine, was winner of the Times Crossword Championship in 1992. He was 29 at the time, and holds the record as the youngest Times Crossword Champion. Hawthorn is the pseudonym used by David Parfitt for Times Quick Cryptic crosswords. Sarah Hayes is a crossword setter in The Guardian (as Arachne), in The Independent (as Anarche), in the Financial Times (as Rosa Klebb), and in The Times. She has also set crosswords in The Listener, the Enigmatic Variations and Inquisitor series. She taught Russian at Manchester University from 1979 to 1997 and wrote a boring book on 18th-century Russian shipbuilding terminology, A Study of English Nautical Loanwords in the Russian Language of the Eighteenth Century. In October 2011 at the Chester Marathon Sarah knocked a full 20 minutes off the Guinness World Record for Running a Marathon Dressed as a Bottle (Female). 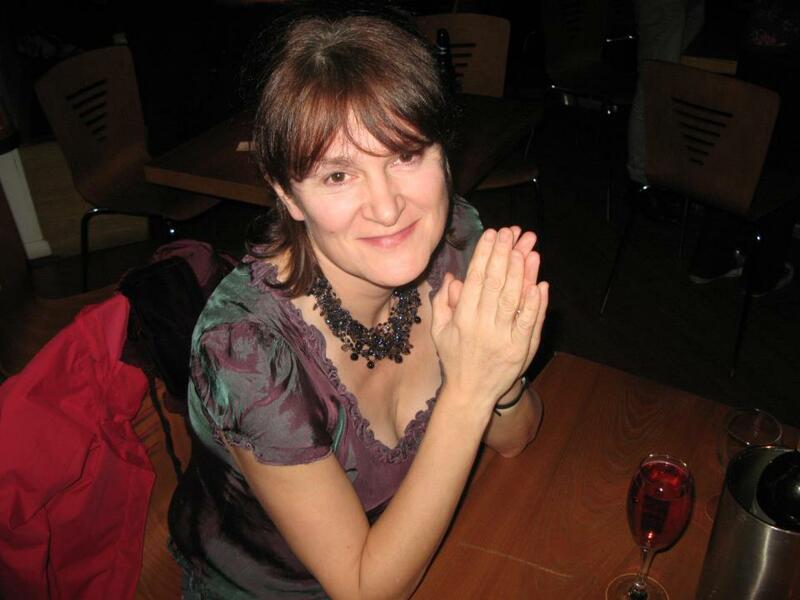 Sarah started setting crosswords in 1996 and her first puzzle was published in the Independent Saturday Magazine. Hazard is a former setter of Quiptic crosswords on The Guardian website. 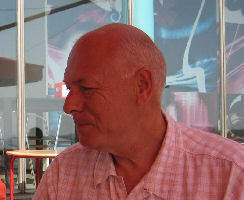 Brian Head, a former schoolteacher, founded The Crossword Club in 1978, and edits Crossword, the monthly club magazine. George Heard, an expat Australian, now a Professor of Chemistry in North Carolina, is the author of the entertaining crossword blog George versus the Listener Crossword. He is also a regular blogger of Times crosswords at Times for the Times. Hectence is the pseudonym of Wendy Law for Quiptic crosswords on The Guardian website. She began setting puzzles in 1999. She is also a Manchester City fan, a guinea pig keeper and a cinema lover. Hemical is the pseudonym used by Michael Holmans for a fortnighly cricket-themed crossword on the Cricinfo website. John Henderson, who was born in 1963 and grew up in Cornwall, has been setting puzzles ever since he can remember. He had his first crossword published in The Guardian in 1979, when he was fifteen. As a solver, John won the Times Crossword Championship in 1996, and hold the record for the fastest solution of a Times Championship puzzle, 2mins, 53secs. He competed in the Championship for the last time in 2010, after which he became a regular member of the Times crossword-setting team. He sets crosswords for The Listener, The Guardian (as Enigmatist), The Independent (as Nimrod), the Financial Times (as Io) and The Daily Telegraph (as Elgar). John is also Crossword Editor of the Inquisitor crossword. On July 23rd 2010 he married Jane Teather (who, as Jetdoc, is well known as a crossword blogger at Fifteensquared). On their wedding day John's puzzles appeared in each of the Guardian, Times, Independent, FT and Telegraph Toughie (and on the following day in the Inquisitor), all with an overt or covert wedding slant. Paul Henderson was born in Darlington in 1959. He is currently living in New Zealand, where he is employed by the Ministry of Justice. Using the pseudonym Phi, he sets crosswords for The Independent and The Listener. As Kcit, he sets Toughie crosswords in The Daily Telegraph. As Pedro, he sets Times Quick Cryptic crosswords. Under his own name, he also sets crosswords for the Church Times and for the BBC Music Magazine. The pseudonym of the late Bert Danher (1926-2002) for crosswords in The Guardian. Dave Hennings is the creator and administrator of The Crossword Database, a website that provides a searchable database of puzzle information for aficionados of The Listener, Enigmatic Variations, Inquisitor and Magpie crosswords. Although its primary use is to help setters identify whether particular puzzle themes have been used before, Dave hopes that all solvers will find the site entertaining. Listener puzzles go back to 1991, the others not quite as far (yet). 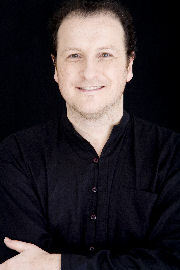 He also runs the Listen with Others website, which he took over from Chris Lancaster in 2009. This is a site where any solver can post a blog of their tussles with the Listener puzzle, as often or as infrequently as they wish. Occasionally, setters will also provide blogs of the development process behind one of their crosswords. Bob Hesketh (1952-2015) was a setter of crossword puzzles in The Times. The pseudonym of crossword setter Huston Gilmore for puzzles in The Independent and in the crossword magazine 1 Across. The pseudonym of David Shenton for crosswords in the Financial Times. Hob is a setter of cryptic crosswords in The Independent. A pseudonym formerly used by Roger Squires for crosswords in The Independent (in which he also had puzzles published under the pseudonyms of Icarus and Bower). Mick Hodgkin had his first published puzzle in the Church Times in 2006. Since February 2007 he has been setting crosswords in The Independent, as Morph. He also sets Toughie crosswords in The Daily Telegraph as Micawber. Michael Holmans was born in 1958, and has been an IT professional since 1980. As Alchemi, he is a crossword setter for The Independent. His debut puzzle appeared in November 2012. As Chalmie, he is a crossword setter for the Financial Times. His debut puzzle appeared in October 2014. He has also been a guest puzzler on the Alberich Crosswords website and on Big Dave's Crossword Blog. As Hemical, he is the setter of a fortnighly cricket-themed crossword on the Cricinfo website. As Otterden, the late Gordon Holt (died April 2016) set the New Statesman puzzle every alternate week since January 2010. He used the same pseudonym for crosswords in The Guardian. The pseudonym of David McLean for crosswords in The Independent, The Magpie, The NADFAS Review, 1 Across magazine and The Cryptic Crosswords Ace Android phone app. Under his own name, he also sets one in three Sunday Times cryptic crosswords (as of January 2016), and contributes to The Church Times. 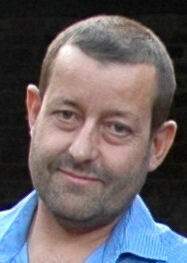 David Howell was winner of the Times Crossword Championship in 1997. He has competed in 16 finals and been runner-up four times - in 1989 (to John Sykes), 1998, 2006 and in 2007 by a margin of 9 seconds. Born in Nantwich, Cheshire, in 1953, he is a retired maths teacher and now likes in Ilkley, Yorkshire. Hubris was the pseudonym of the late John McGlashan (1921-2010) - a former British intelligence agent - for crosswords in The Listener series. Hurley is the pseudonym used by Niall MacSweeney for Times Quick Cryptic crosswords. Mike Hutchinson is the crossword editor of The Independent, for which he also sets crosswords (as Eimi). The pseudonym of Philip Marlow for crosswords in The Independent.